Time for another food post! This time we're going to be looking at something a little more simple, yet gourmet none the less. The PB&J sandwich has been popular in North America for over 100 years! According to the Wikipedia article on the sandwich, the average American has eaten over 2,500 PB&J sandwiches before graduating high school. 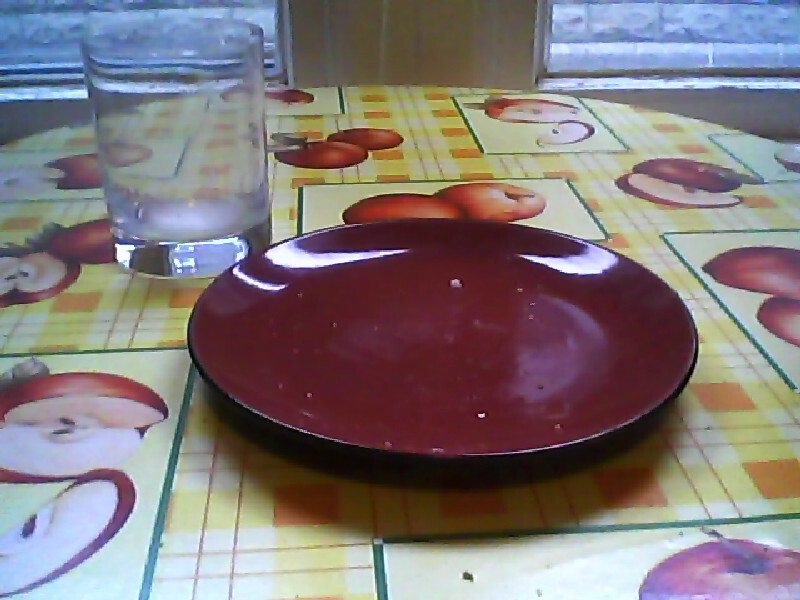 Take 3 slices of bread. 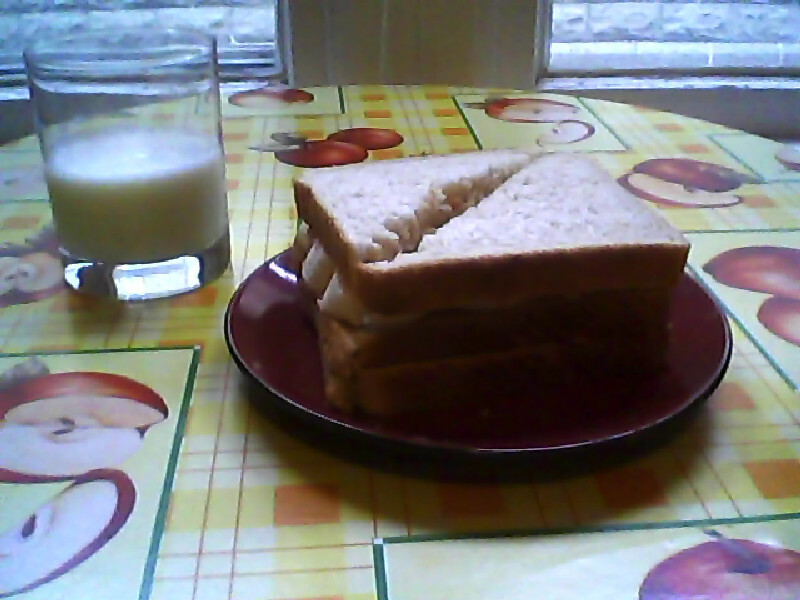 For today, I will be using white bread. Place the bread side by side. 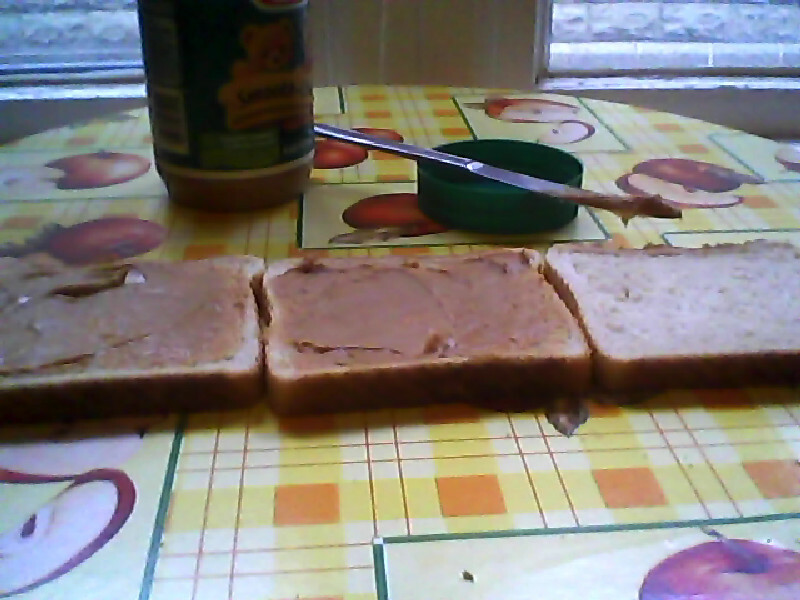 Using a butter knife, spread peanut butter over the slice of bread to the left as well as the centre slice of bread. Leave the slice of bread to the right untouched. 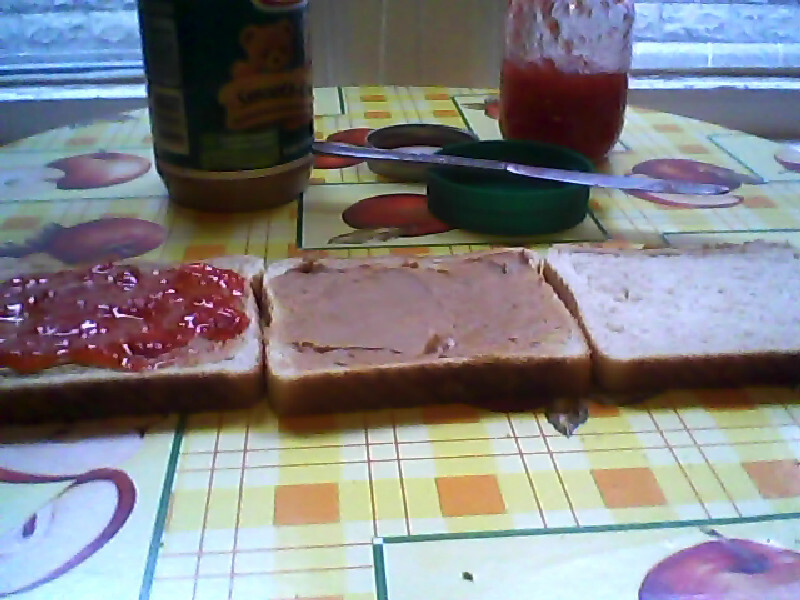 Take your homemade strawberry jam and spread it over the peanut butter on the slice of bread to the left. Slice your banana into pieces. It really doesn't matter how you slice them (length wise or width) so long as they are thick and can be distributed over the surface of the centre slice of bread (the one with peanut butter but no jam). 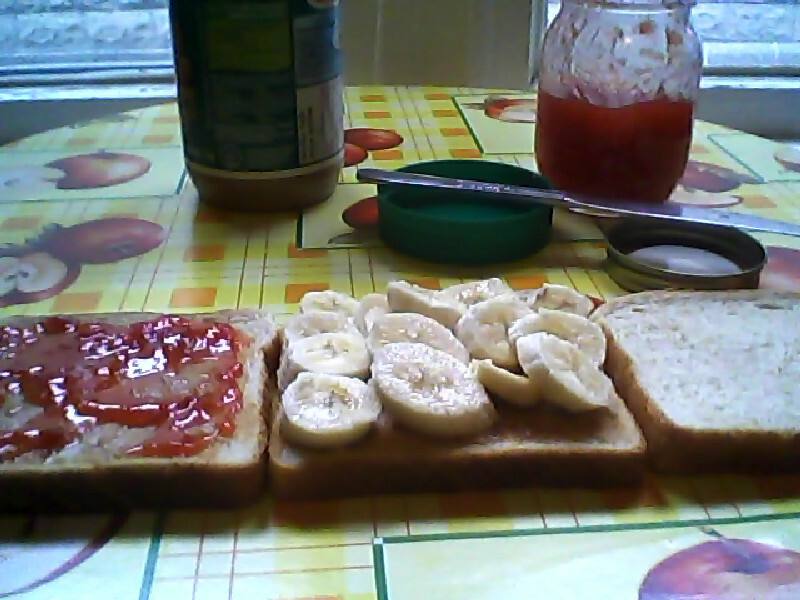 Distribute your sliced banana over the surface of the centre slice of bread (the one with peanut butter but no jam). Put it together. This is kinda tricky but we'll get through it I promise. 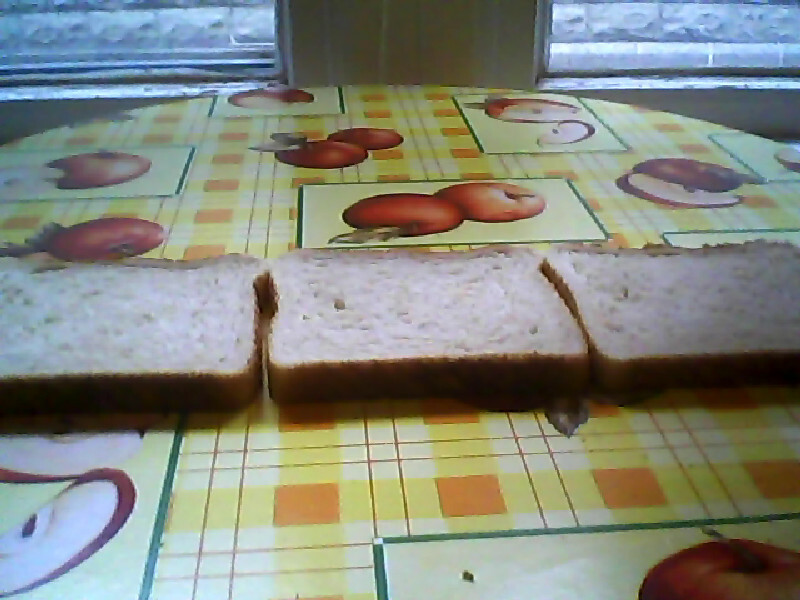 Starting on the right side, pick up the slice of bread with nothing on it and place it on the centre slice of bread (the one with banana and peanut butter on it). Congratulations! 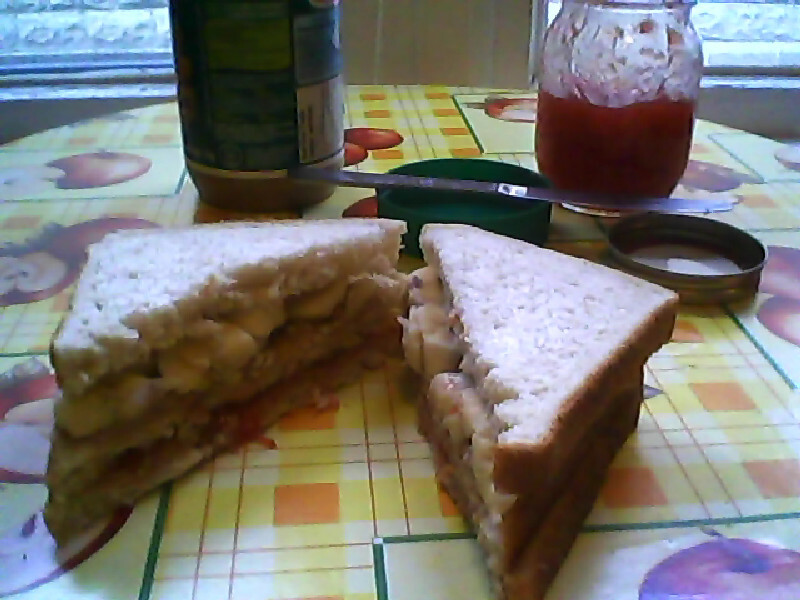 You have a peanut butter and banana sandwich. We're almost done now. 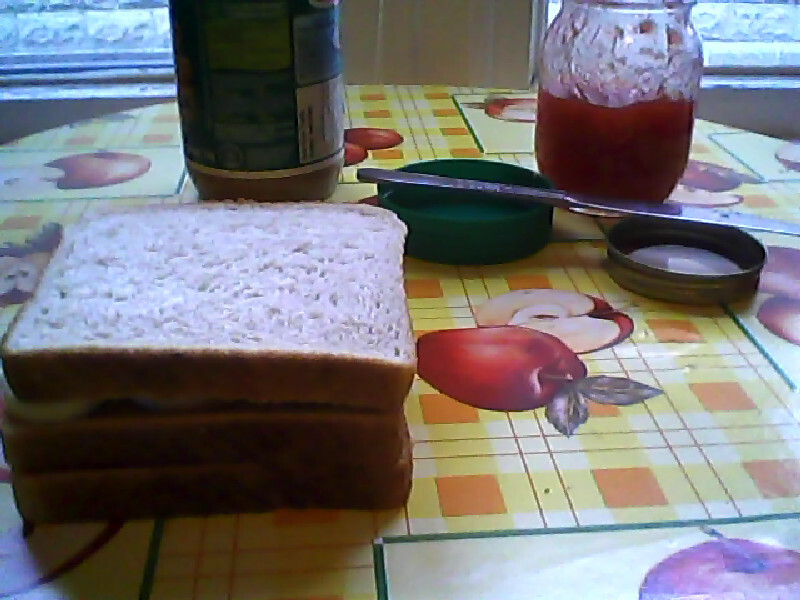 Take your already established sandwich and place it on top of the remaining slice of bread (the one with peanut butter and jam). Congratulations! 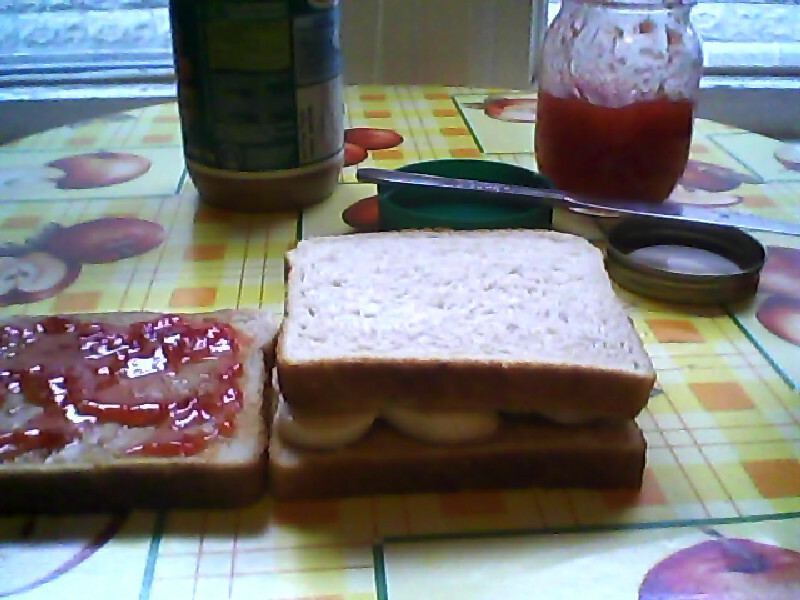 You have your peanut butter, banana and jam sandwich! Cut your sandwich. This is optional but I suggest it as you may have trouble holding this monster sandwich in your hands. You can cut it in half diagonally, down the centre, across the centre, or into fours by using a combination of the already described cuts. Enjoy. I suggest you take the time to pour a glass of milk to wash down this tasty meal or snack. 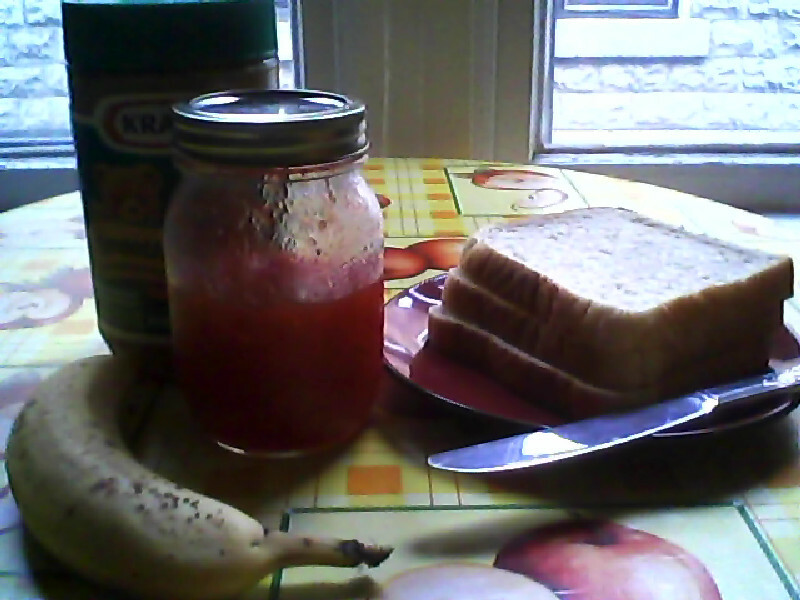 I LOVE pb&j's, best is with the right kind of bread. They are simply delicious.